Simply the Best Way to Fast-Track Permanent Weight Loss! 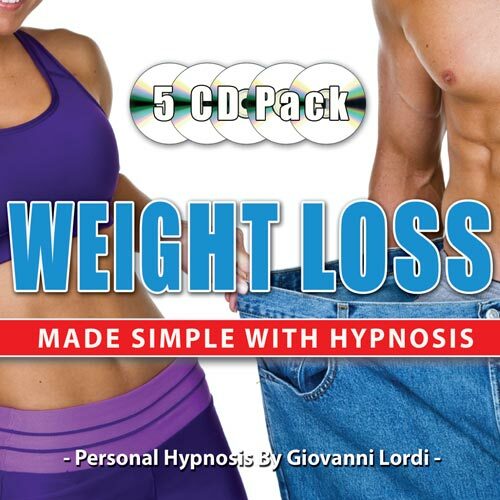 This program contains 5 highly effective specialist weight loss hypnosis MP3s. They are designed to be used in conjunction to completely empower your mind & body on every level towards reaching your optimal weight & staying there forever. Each recording is professionally designed to allow you to experience a clinical hypnotherapy session in the comfort of your own home. Using these sessions over a period of time, you will begin to automatically do all that is necessary to maintain a healthy weight - and better still - to do this easily & automatically! 5 X MP3s FOR ONLY $39.95 - SAVE $35! CD option for an extra $20 including Shipping - save $40! This is a 'generalized' program to start getting your mindset into the successful weight loss zone. It will help build the foundations on all the essential aspects to reduce & maintain a more & healthy weight. This MP3 will give you unprecedented motivation to choose activity over inactivity - whether this be to exercise, go for a walk, play with the kids or anything else active. It will work in-line with your own fitness level, & help you burn up all those carbs & fat to get you looking good. This MP3 will refine your eating patterns by automatically helping you choose healthy foods over unhealthy ones. The beauty of hypnosis is that this will happen very easily for you without any cravings, going without, or even having to think about it! This MP3 contains 'Advanced Mind Dynamics' to help re-balance your mind & body towards maintaining a quicker metabolism. It will create harmony within your mind-body connection & act as a powerful 'placebo' to implement physical change to the way your metabolism works for the better. This MP3 convinces your mind you have undertaken a virtual 'lap band procedure' which automatically makes you feel full quicker & not so hungry all the time. It is a very powerful program & will reprogram your eating habits to eat less, not over-indulge & eliminate comfort eating permanently.